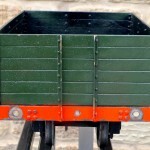 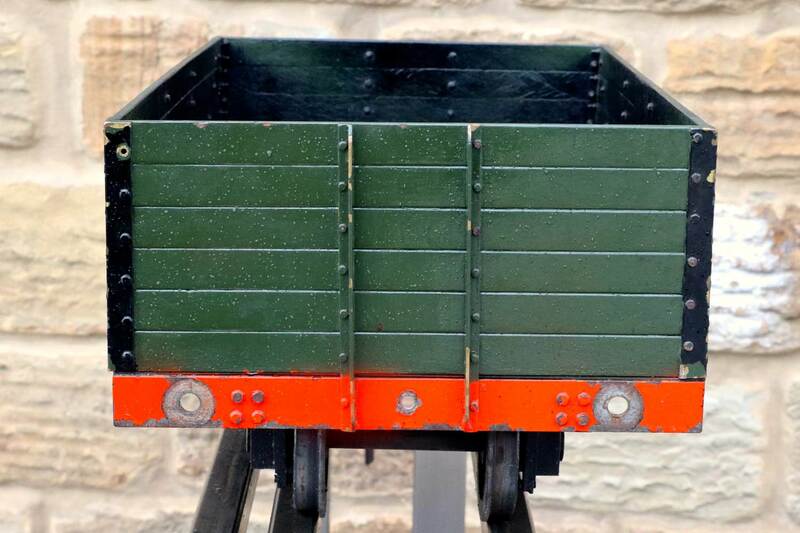 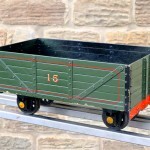 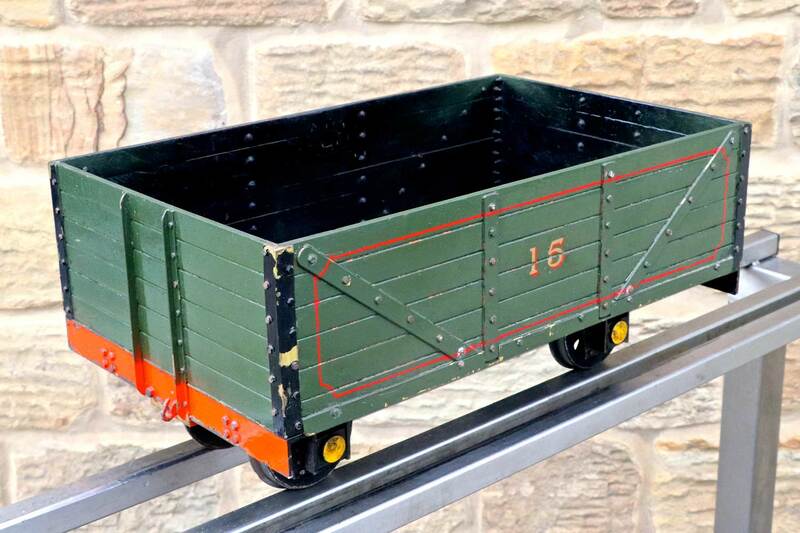 Here we have a 3 1/2″ gauge narrow gauge outline coal wagon. 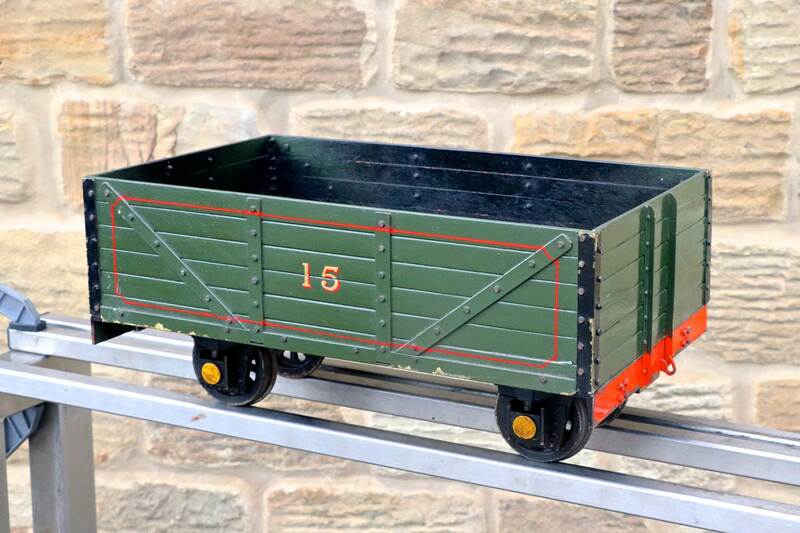 Free rolling, coil sprung suspension on the axle boxes and rides nicely. 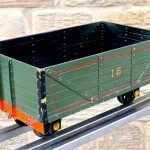 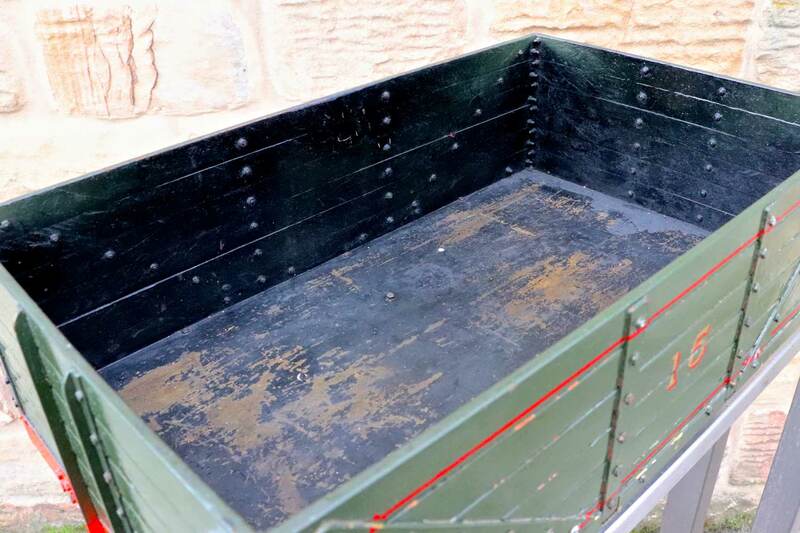 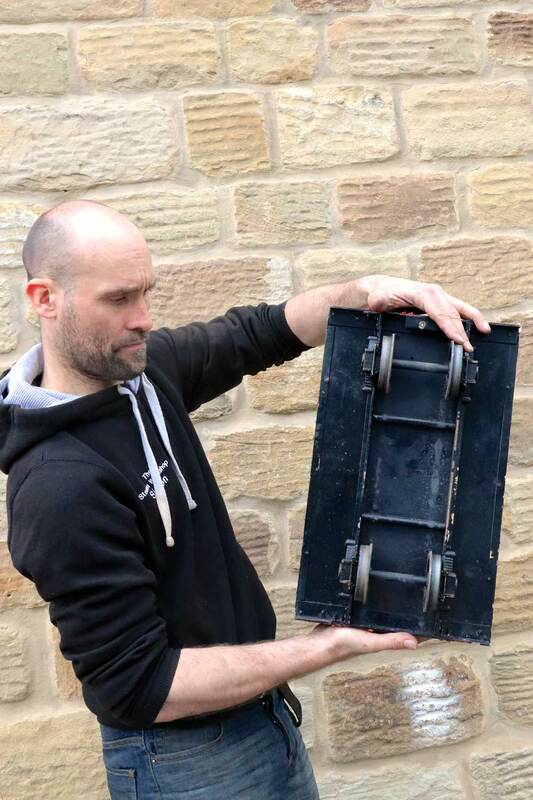 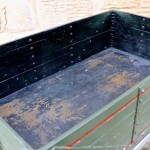 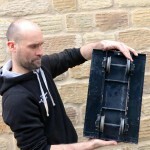 Ideal for carrying coal and perhaps some extra water for your narrow gauge prototype.